Tsukemen & Izakaya Ieyasu in Avenue K Shopping Mall , Kuala Lumpur is one of the very few Japanese restaurants in Malaysia that serves Tsukemen in different flavours for all-year-long. 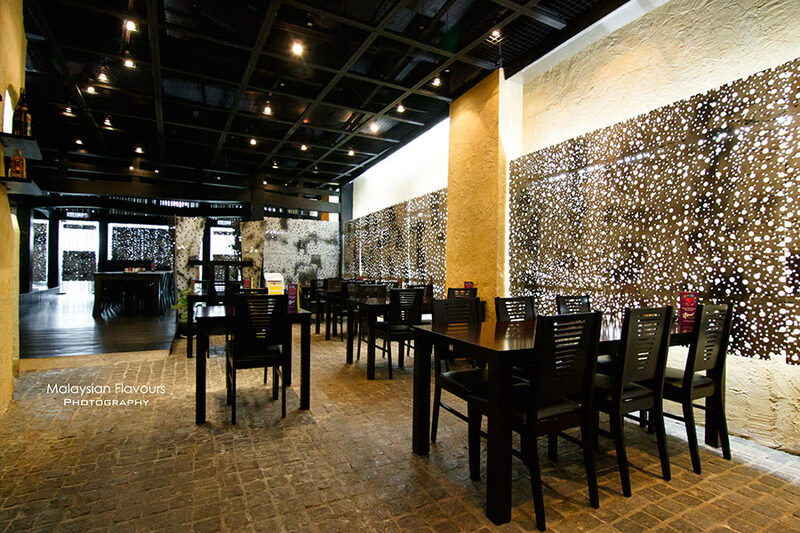 Or in fact, it can be said as the only Japanese restaurant in Klang Valley that specializes in Japanese Tsukemen by far. 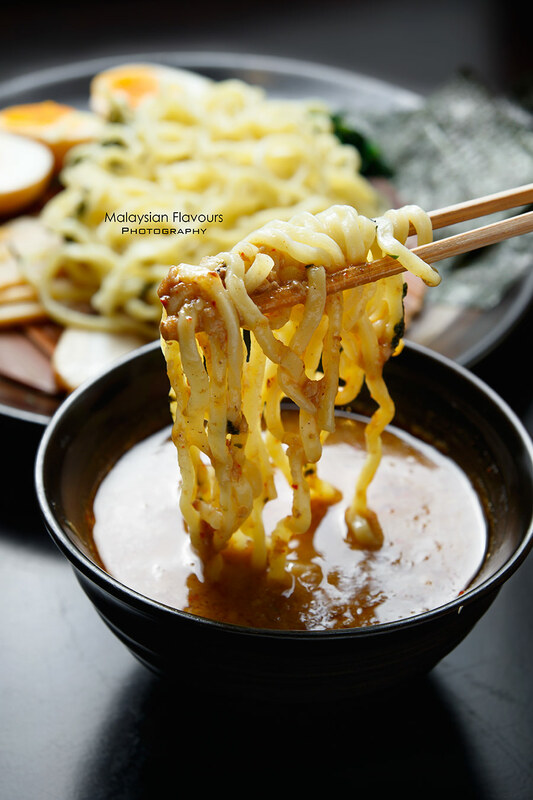 Many ramen restaurants in KL and PJ dish out Tsukemen too, but mostly on seasonal, or just one or two choices on the menu. 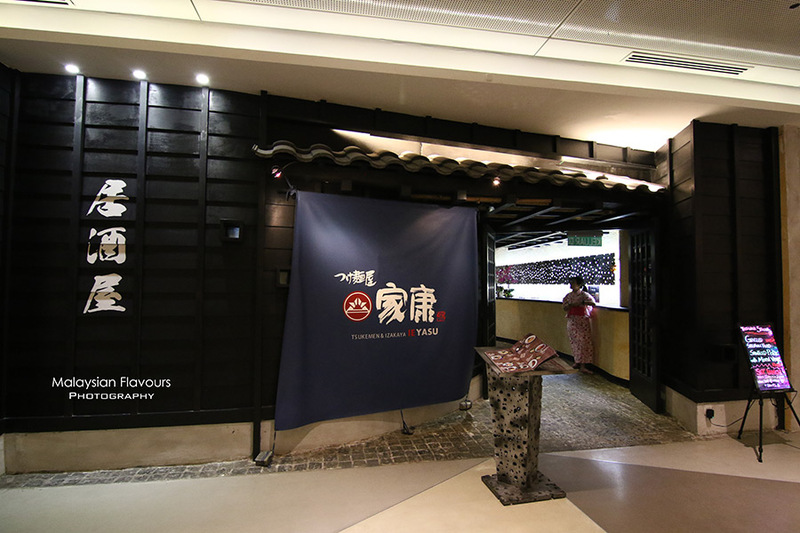 Situated on the 3rd floor of Avenue K Mall, next to Samba Brazilian buffet, Tsukemen & Izakaya Ieyasu may fall short for its location as the mall has less foot traffic on higher floors, but it is worth spending some energy for a bowl of delicious Tsukemen churn out by a brand hails from Japan. As the name tells, Tsukemen, or Japanese Dipping Noodles, is the must-have in Tsukemen & Izakaya Ieyasu. 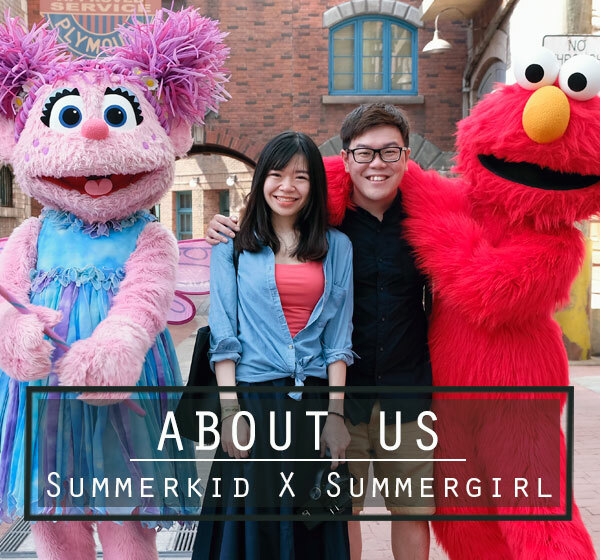 They cover five flavours including Sesame Dipping Noodles, Soy Sauce Dipping Noodles, Japanese Curry Dipping Noodles, Tomato & Cheese Dipping Noodles and Miso Dipping Noodles. All reasonably priced within RM25. Tsukemen portion in Tsukemen & Izakaya Ieyasu is considered generous, as each serving comes with 150g of firm, chewy noodles, topped over with 3 halved tamago, bamboo shoots, barbecued pork and sheets of seaweed. 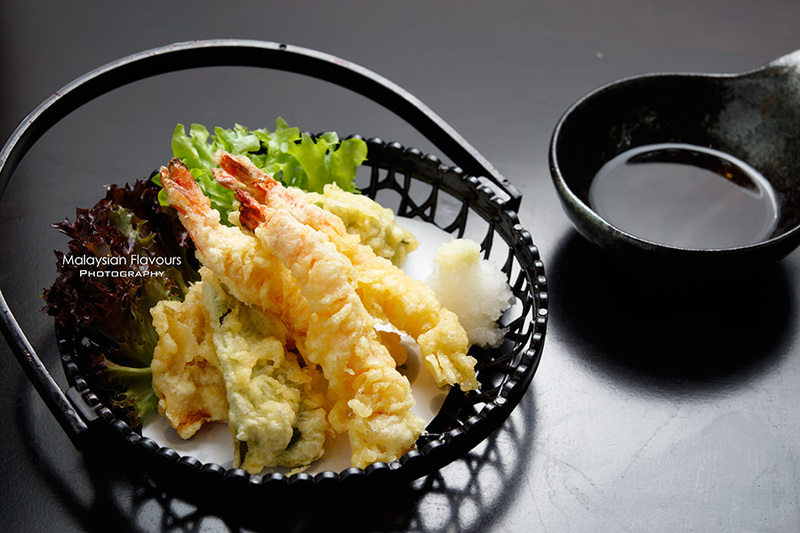 Surprisingly, the eggs turned out to be our favourite – semi-solid, creamy, still runny for the egg yolk at center. Soup and noodles are served in separate bowls, where the former is pipping hot while the later is cooler since it is not placed in hot broth like ramen. To eat, take few strands of noodles and dip into soup. The rich, intense flavours of soup boiled for 9 hours using pork, chicken and seafood will then coat on noodles that are pale in flavour, reaching for a balance in texture, taste and temperature, resulting in addictive slurp. After finishing the noodles, diners can request to add soup to their broth to lighten the soup richness, making drinkable. Else, add the round, adorable-looking rice ball in to the soup and enjoy it like rissoto. Didn’t expect the mix of rice with Tsukemen soup can be so delicious. We started with intention to try just a spoonful, but ended up clearing everything. 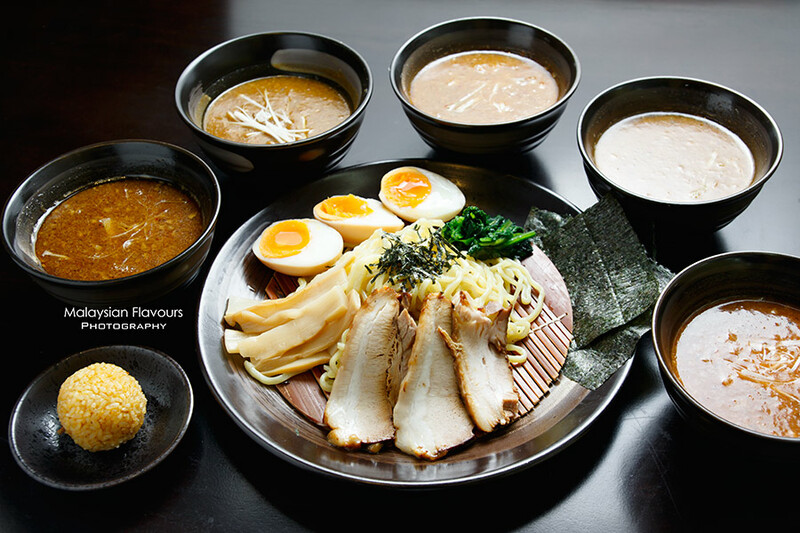 Tsukemen & Izakaya Ieyasu menu also sum up a wide varieties of Japanese food apart from this Japanese-summer-favourite-noodles. 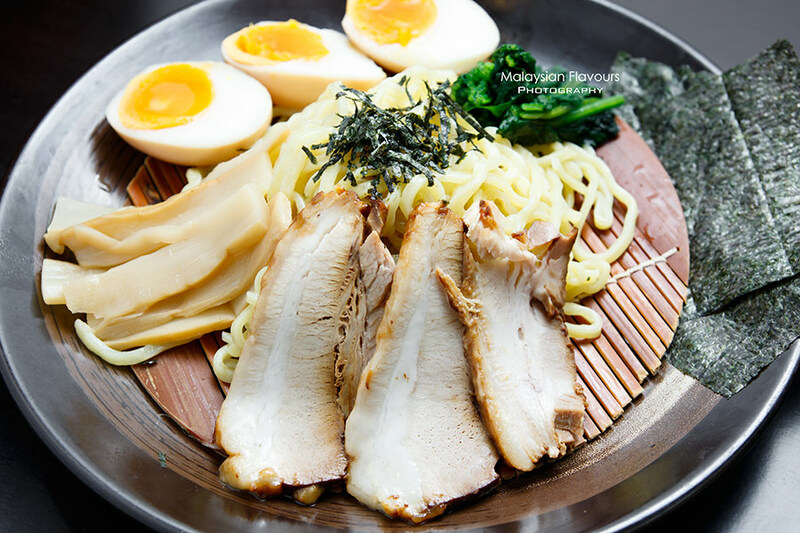 Saute pork & eggplant, saute pork with mixed vegetables, potato with butter, tempura, sashimi, salad, ramen are some of the dishes to check out in case you are not into Tsukemen during your visit. Highly recommend Tsukemen & Izakaya Ieyasu Spicy Chicken Wings. So finger licking good. 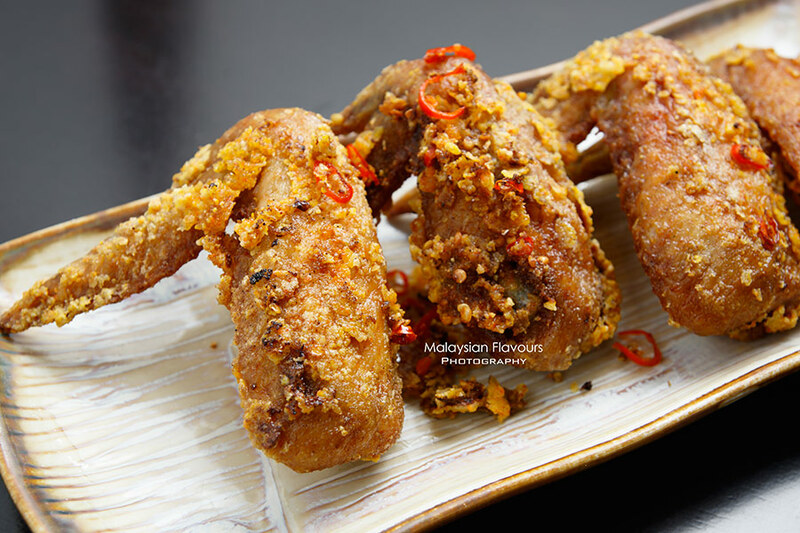 Juicy meat, jacketed with crispy skin deep fried to golden brown, further rubbed with a layer saltiness and spiciness. Goes well with a pint of beer. 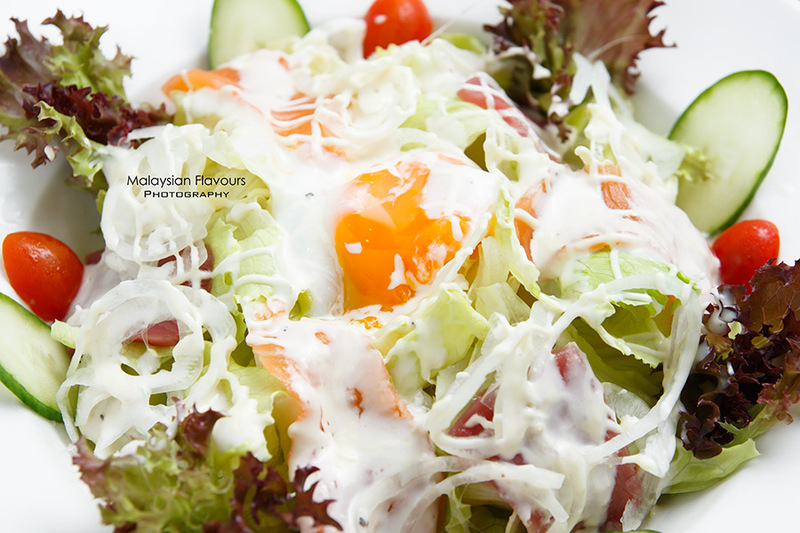 Lovely plate of salad that has lettuce, onions, cucumber, honey potato, soft boiled egg, raw salmon and tuna tossed in creamy dressing. Lots of refreshing crispiness, mingled with a tinge of egg aroma in every munch if you mixed all well. This place has been closed down.